What are your crews' strengths? Who are your star performers? The ability to oversee your crew performance is imperative; it tells you which training has been performed, by whom, and at what location. It also provides the critical evidence of compliance required during an external audit or ship inspection. However, it’s the ability to drill down into the detail that provides the insights that enable you to get the greatest value out of your training investment. 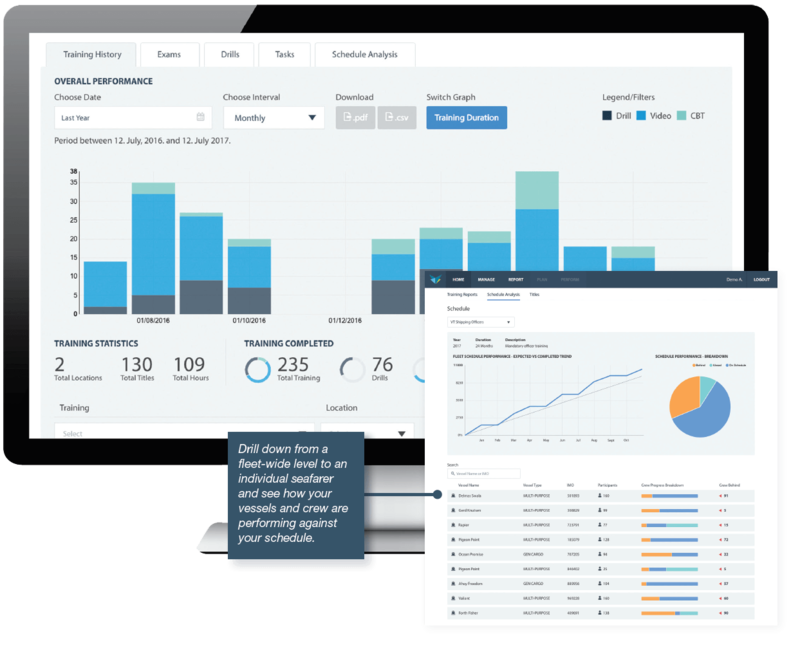 Engage with and analyse training records and test results far more effectively using visualizations of data rather than traditional static reports. 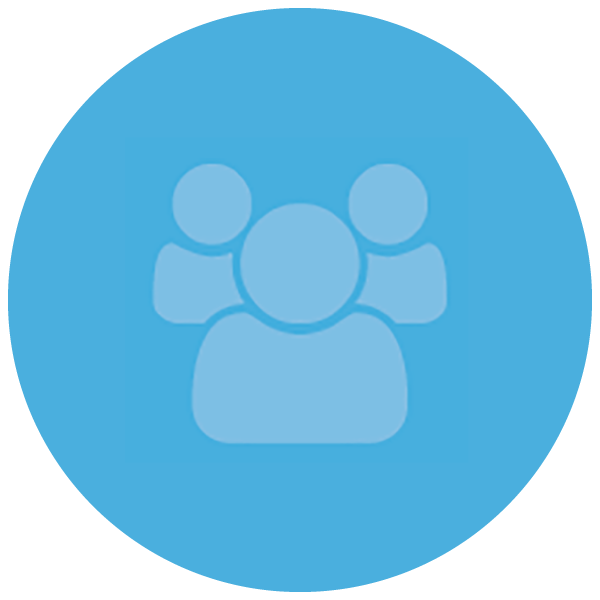 Enjoy unmatched efficiency through a powerful and responsive user interface that delivers information with a minimum of clicks. 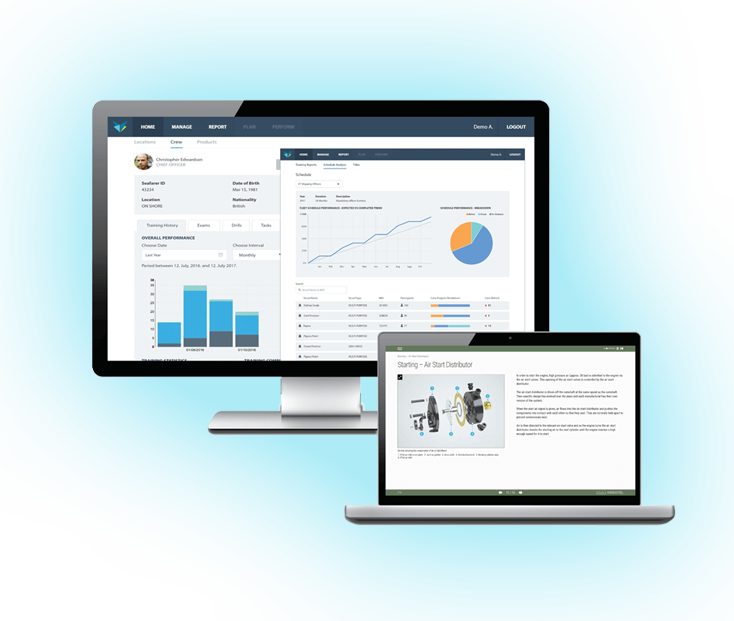 Illustrate training results to stakeholders, auditors, charterers, inspectors, and more via well-constructed and easy-to-read reports. 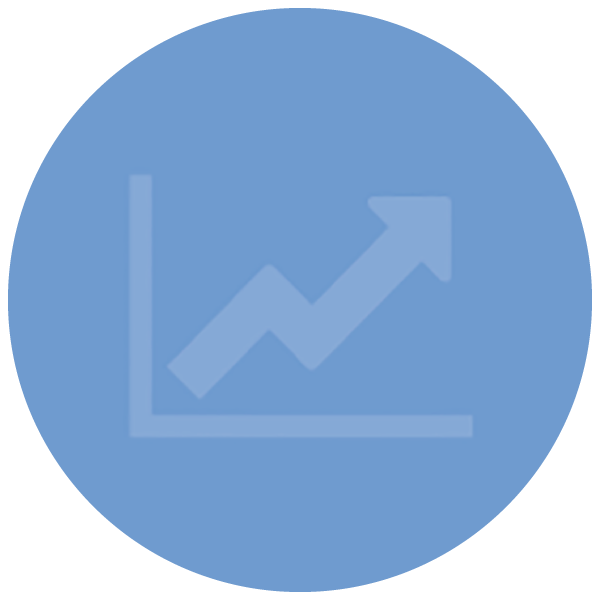 Identify trends and behaviours (positive and negative) quickly in training activities and results to respond rapidly with modifications to your training strategy. 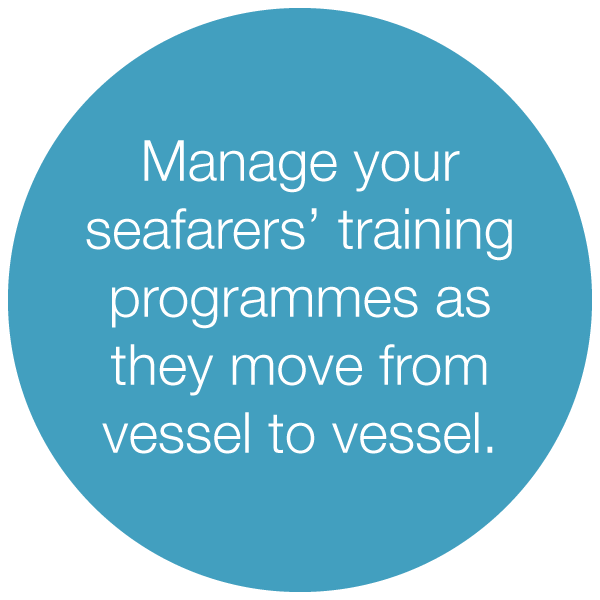 Allow training records and plans to follow the crew from vessel to vessel using the cloud-based architecture. Present training results in a wider context; benchmark against others in the industry. Training will not be effective if it is not engaging, factual, and relevant. 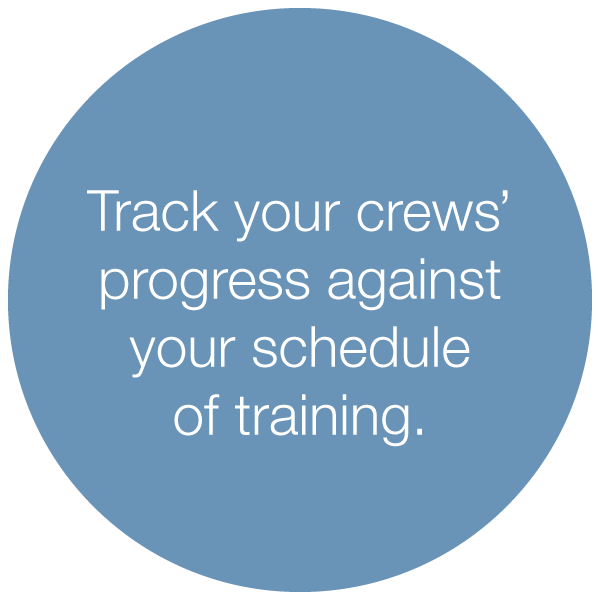 If you want your crew to be motivated to train, the key to adoption is providing training material that is attractive, is created with care and expertise, and delivers a great user experience. 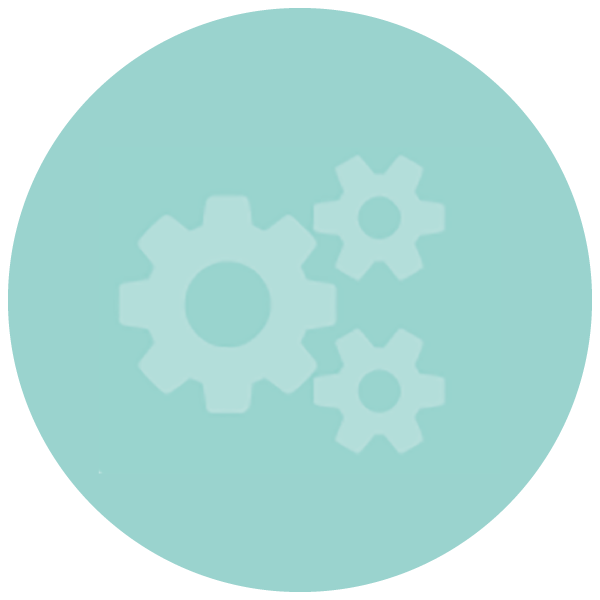 Videotel uses a blended learning approach to building crew knowledge and performance. 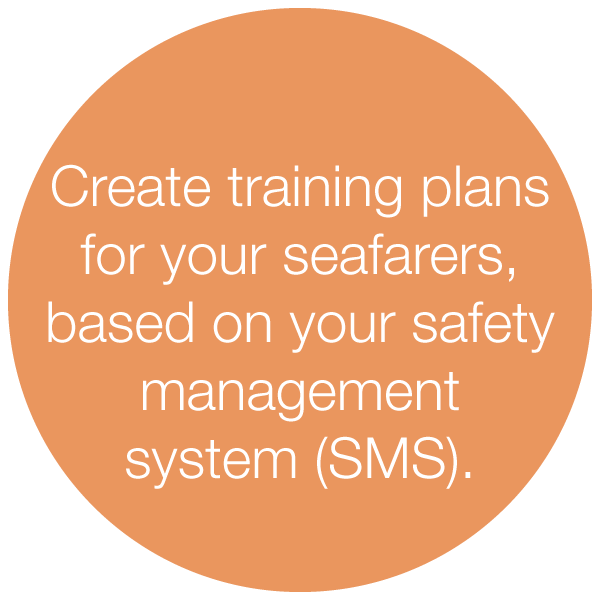 Our titles cover a wide range of STCW-related subjects and other operational disciplines. Each title is delivered in the format proven to maximise its retention. 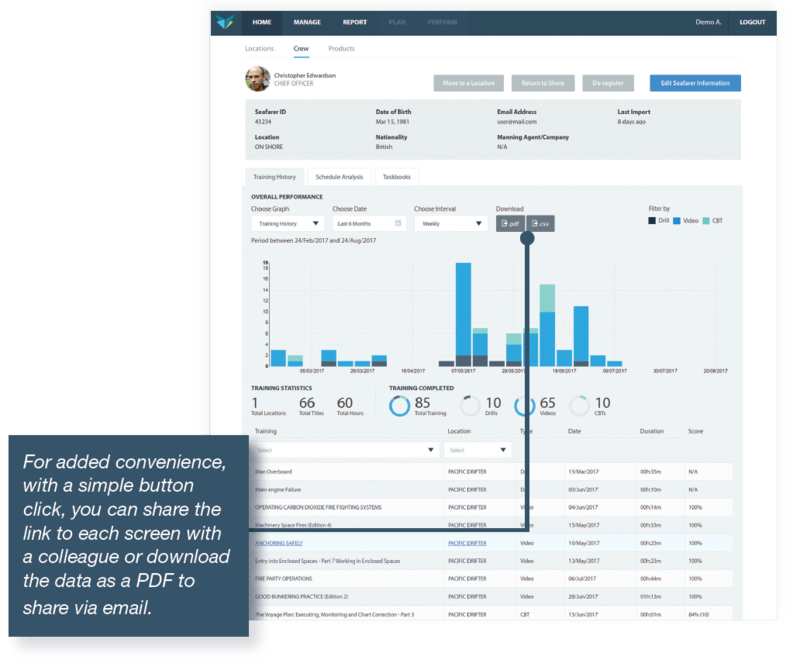 With information presented quickly and with a minimum of clicks, Videotel Performance Manager lets you spend more time understanding your information and less time looking for it. What makes Videotel Performance Manager different? 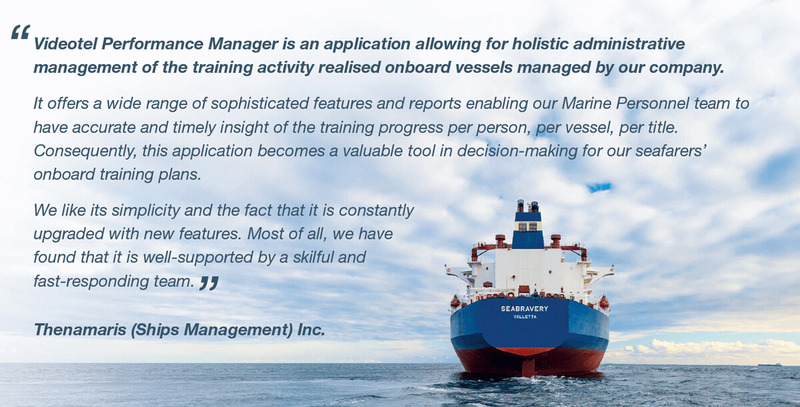 When the maritime industry speaks, we listen. © 2019 Videotel KVH, Videotel, and Videotel Performance Manager are trademarks of KVH Industries, Inc. All other trademarks are the property of their respective companies.